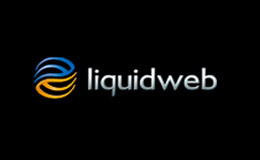 Are you new to following terms web hosting, web servers, hosting, website hosting or web space? If yes, this article specially crafted for you to understands the basics of web hosting. In this article, I will be sharing the basics of web hosting and how it works. In simple words, hosting is an online space or storage where we store our sites data, applications files, videos, and other stuff to make them accessible from anywhere around the world. You can make your stuff available publicly or private it by password protection. The hosting computer is also known as “Servers” are similar to our home computers and their working principle too. But they are specifically designed for hosting files and data. These servers are highly expensive than an ordinary/personal computer or laptop. A web host is a firm or company who provides us online space for storing our website content, files and documents. Along with web storage, they also offer and responsible for domain registration, SSL certificates, Email facility, Servers maintenance, Server softwares upgrading and Hosting servers security. There are many web hosting companies available which provide space to store your website at the affordable cost. These companies installed extremely fast CPU’s and servers in their data centers that host your website and their contents. They have high power network and resources. When a user types your website address, users computer connects with DNS and then web hosting servers to fetches required contents of your site to show results in users web browser. There are following types of hosting; Shared, Dedicated, VPS, Cloud, Managed WordPress and Reseller for online data storage. 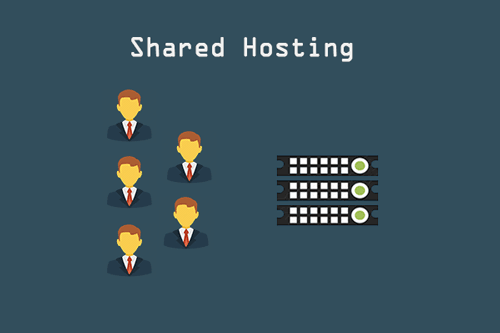 As the word “shared” clearly describes, a web hosting that is shared with hundreds of other individuals or business to make their sites online known as shared web hosting. 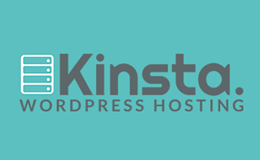 It’s the best wordpress web hosting for newly started sites whether they are blogging based or for business. It is very cheap and easy to manage. The hosting provider handles technical support, hardware maintenance, server software upgrading, server issues and anything else. Usually, shared hosting offers unlimited bandwidth, storage, and traffic. The biggest advantage of shared hosting is, it’s very cheap and highly affordable for one having the lowest budget limit. VPS stands for virtual private server. It is something like dedicated hosting, but the main difference between these is physical existence. In dedicated hosting, you rent an entire server that physically located at hosts data center. In VPS hosting, you also have a dedicated server but not in physical form. VPS hosting shared with other users. That is why dedicated hosting is much faster than VPS. In both cases, you have superuser rights to install any script, softwares or anything else on the operating system. High skilled staff or user required to handle it. However, it is too much expensive and complicated to manage. If you are a developer or business firm, who develop apps, then go for this. I have shared an indepth article about VPS providers here, must check for more details. 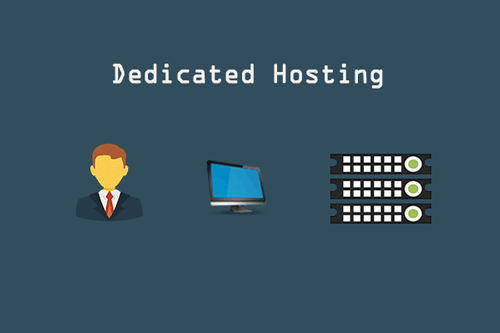 In the dedicated web hosting, an entire server is reserved for a client or individual and not shared with other users. Reserved server located in the hosting provider data center. It gives the full control of the server to their user or administrator. In certain cases, the service provider offers security measures, operating system support, and software upgrading. Highly skilled folks are required to handle and manage dedicated hosting. Mostly, individual and companies did not go for such type of hosting due to the number of reasons including most expensive than shared hosting, need server expert who knows servers management and undoubtedly it will cost them additional charges. In cloud hosting, there are more than one servers are connected to each other for storing data parallelly. If we compared to traditional hosting, In my experience Cloud hosting is the best way for hosting sites. As I describe, there is more than one server collaborates, in case one server goes down there will be many servers online that will never let your site down. You will never know that something happened with the server because other servers will come into the game automatically. Cloud hosting is a little bit costly than shared hosting, but it will give your site blazing speed and performance if compared to traditional shared hosting. 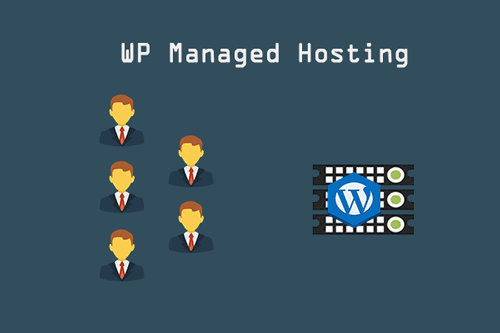 Managed WP hosting basicly designed and structured for wordpress platform and you can only run WordPress CMS on such type of hosting. It’s highly optimized to make wordpress powered websites blazingly faster, secure and accessibility. The hosting provider’s technical staff handle every single issue on your site and FIX it. But as I say above you can only operate wp sites, if you are using any other platform like Joomla or Magento don’t go for this option. You cannot install plugins causing site speed degradation, and this may create troubles for someone. 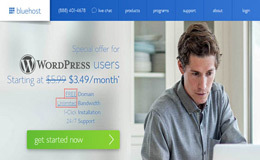 Overall, for wordpress users, having a site with the significant amount of traffic Managed WP Hosting is the best solution for them to get rid of technical issues. Perfect of those who only want to focus on their business rather than handling server issues etc. In my personal point of view Managed WP Hosting good choice if you don’t want to manage your hosting server security, softwares upgradations, etc. 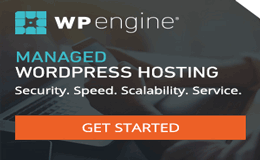 Here are some of the best managed wp hosting providers, they are the best in this business and never let you worry about your sites. 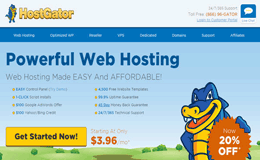 Collocated or Reseller Hosting is also expensive. In this type, you get your servers. You can host servers in the data center, house, office or anywhere else. You are responsible for handling server issues, its software, bandwidth and physical hardware maintenance. Also, you can sell hosting space to other users at custom rates to make money. The main advantage of this hosting is you have full control over your service and you can able to choose any script or software to install. 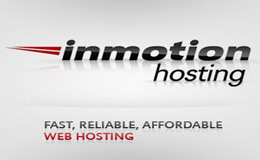 It is best for ones who want to start their hosting company for the business purpose. So, Which One Right for You? Now all the web hosting types are described above, and I am pretty you are not new to the term of web hosting anymore. Am I right? But here is another question that may come to your mind, which one web hosting is best for me? It’s a simple and thumb rule if your site is new or having a small amount of traffic then Shared hosting right for you. But how much smaller? Usually, 8k~10k PVs per day, though hosting provider claims that their shared plans can easily handle 25k visitors per day, but higher traffic will slow down your site speed and sometimes may cause freezing. So, that is why at that stage you need a better, faster and high performance web host. On the other hand, having a site with half-million page view per month then VPS, Dedicated or Managed WordPress hosting is the best solution. There are many hosts offers VPS, Dedicated, and Managed hosting plans but I would highly recommend choosing from listed above. If you need any help, don’t hesitate to ask me below in the comments sections. Do share your experience with web hosts and also which one is your favorite hosting company?